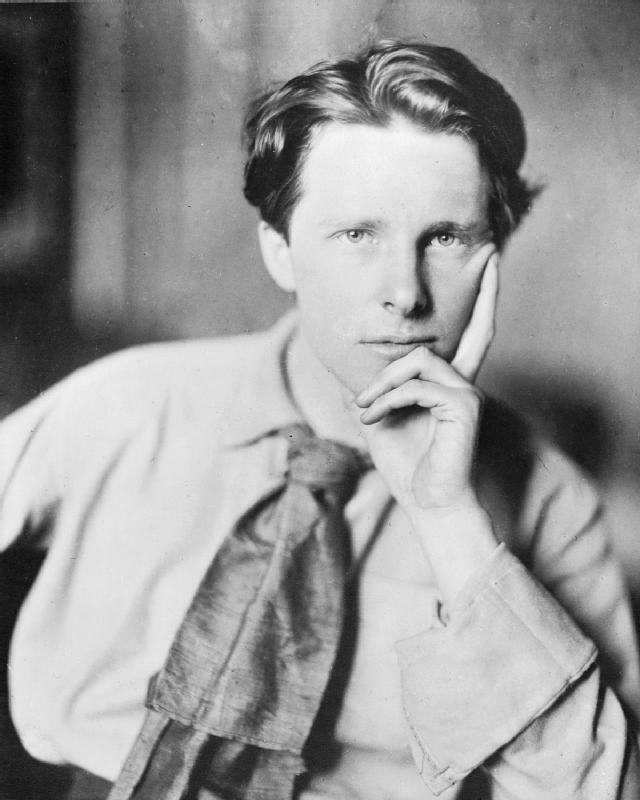 Rupert Brooke was known for his war poems. On his way to battle, in 1915, Brooke was bitten by a mosquito. It was the mosquito bite and not a gunshot wound that killed him. •Suggest to your students that anyone can write a poem. •Explain that, in a way, writing poetry is easier than writing prose. There are no punctuation or grammar rules in poetry. There is something called poetic license, which means an author can break all the rules if breaking the rules helps to advance the poem. •Tell students that sometimes prose is like poetry and sometimes poetry is like prose. It’s usually up to the author to decide how to characterize a piece. •Rules were much stricter years ago about poetry. Today there are almost no rules. •Suggest to your students that poetry might give them more freedom to express ideas than a prose piece might. Poetry, more than prose, is the medium of feelings. Both selections in this section were written during war time. •Explain to students that war provokes strong emotions. •Ask students if they detect emotion in the two selections. If so, how? On November 19, 1863, President Abraham Lincoln of the United States gave one of the most famous speeches in American history–The Gettysburg Address. This speech was so artfully written and conveyed emotion so eloquently that it is has often been called a prose poem. The speech is printed in its entirety on the following pages. The first version of the speech is in prose, as Lincoln wrote it. The second version of the speech is in verse, the way many people believe the poem sounds. •Ask your students if they think the speech works as a poem. •Ask them to find phrases that are particularly eloquent and moving. •Ask students if they can hear a cadence, a kind of music, in the words, whether they are presented as prose or verse. The selection following the Gettysburg Address is excerpted from a poem, Safety, by Rupert Brooke. Brooke was British; he wrote Safety in 1914, the first year of WWI. In 1915, as the poet was headed toward battle, a mosquito bit him. The bite became infected and Brooke died shortly after of blood poisoning. His poem, Safety, was written in sonnet form; this means it has a definite meter (like a beat in music) and it rhymes. •Ask your students if they think this poem is of a very serious nature, or if the subject matter is not terribly significant. •Ask your students to find words that help to set the mood. Ask them how they would describe the mood of the poet. •Invite your students to try their hand at writing any kind of poem they’d like. Remind them that they want to choose their words carefully so that mood and tone are conveyed. •Tell them to have fun; writing poetry is personal and can be a very rewarding experience. This photo of Lincoln was taken at Antietam by Alexander Gardner, in 1862. 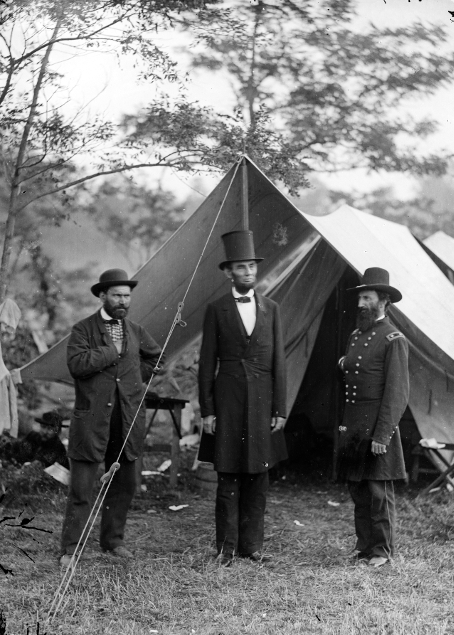 Allan Pinkerton, head of Union Intelligence Services, is on his right. Major General John A. McClernand is on his left. The picture is available from the US Library of Congress. It is in the public domain.